Facebook is a great way to connect with long lost friend, friends from high school, co-workers and family members. It is also good for business use by making a Facebook page to connect you with previous, current and potential clients. You want to provide valuable content and useful links on your page that will result in others wanting to share your posts with their “friends” and will also want to “like” your page. You want to get your audience involved with your updates and also get them to interact with you so the best way to do this is to set up a poll by utilizing the regular Facebook “question” option. Be sure to add a link to your Facebook page in your email signature. As Facebook evolves, there are amazing statistics coming out about Facebook and social media. Here are some statics regarding Facebook. There are close to 850 million active Facebook users on a monthly basis. 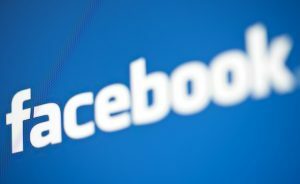 Facebook sees about 250 million pictures uploaded each day. 425 million Facebook users have the Facebook mobile app on their phone. There are 2.7 billion users using the ‘like’ feature on Facebook. Females make up 57% of all Facebook users. There are many, many page views online each day and 20% of those page views are from Facebook. Facebook accounts for about 100 billion connections. Facebook games from Zynga makes up 12% in revenue of the total Facebook income. iClimber offers social media marketing services including, social profile creation services, Facebook Advertising and Instagram Marketing. All services are organic.